Rev Dr George Grubb, former Parish Minister and Lord Provost of Edinburgh, died peacefully in the morning of Sunday 10 June at the age of 82. He was parish minister at Craigsbank Church in Corstorphine, Edinburgh from 1971-2001. Retired minister Rev Ann Inglis has written this moving tribute to his life in the ministry and beyond. In recent years George began writing a memoir with which I was involved. Sadly he never finished it. At the beginning of the memoir he said his Edinburgh life had been dominated by four buildings and two bridges. The buildings were Edinburgh Castle, the old Royal High School, Craigsbank Parish Church in Corstorphine and Edinburgh City Chambers. The two bridges were the rail and road bridges over the Forth. Clearly some amendment was required! George’s early life was spent in the Blackhall and Marchmont areas of Edinburgh with his parents and older brother Douglas. The war years dominated his childhood. His first school was James Gillespie’s Primary School and later he attended the Royal High School. He maintained an interest in the Royal High all his life and was due to attend the annual prize-giving in just a couple of weeks. At school he played rugby but his sporting successes came in running, winning the Scottish Schools and Scottish junior titles in the half mile. Into his 70s George was still a fine runner. His long loping stride meant he covered the ground more efficiently than the guys who seemed to be going faster. George was involved in Sunday School and Youth Fellowship in Marchmont and in his teenage years first felt a call to Ministry. He saw the Convener of the Church of Scotland’s Training for the Ministry Committee and was advised that he needed to increase his academic qualifications – and that he should do that after National Service. That took him first to training in Aldershot and then to Deepcut Camp and then Kineton where he served as an ammunitions clerk. It was during National Service that he was introduced to Methodism. After National Service he began study at Wesley College in Leeds. Service as a Methodist Minister was in the Wakefield Circuit. George often said he had not chosen Methodism but rather that Methodism had chosen him. The Services called and George served as an RAF Padre in Germany and Cyprus. And then what George called “the exile years” were over and he returned to Scotland and entered the ministry of the Church of Scotland. He served as Assistant Minister in Craigsbank Church for a year and then in 1971 was called to be Minister. He retired from there in 2001. George was an innovator, a man of ideas. He started a group where residents from nearby Gogarburn Hospital came for fellowship and fun – well, sometimes fun! He also began a group for recovering victims of strokes. And Craigsbank had one of the early Mothers and Toddlers Groups. He was instrumental in getting a new church building in the expanding East Craigs area. George became involved in the life of Edinburgh Presbytery and, while he never served on Assembly committees, he was a frequent contributor to debates at the General Assembly. I was never sure whether George sought controversy or whether controversy sought George. Many ministers had cause to be grateful to him for his determination that the Church should move to a fairer stipend structure. 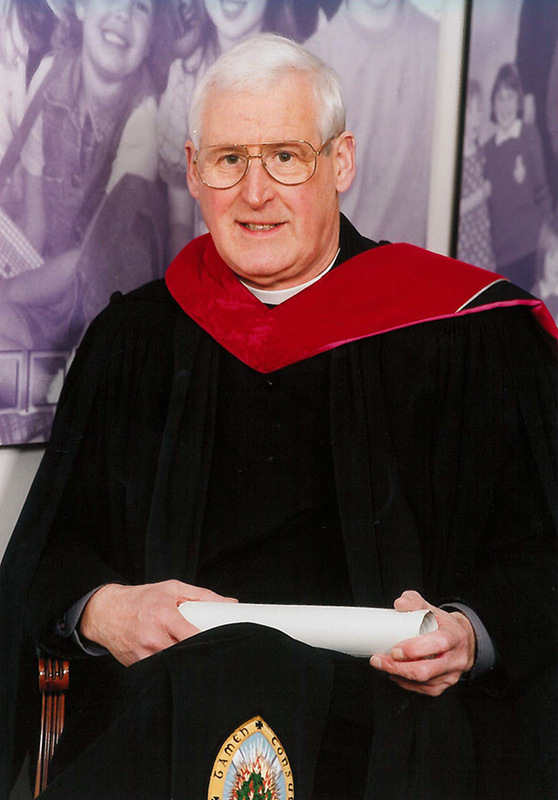 He served as Moderator of Edinburgh Presbytery from 1993 – 1994. He asked me to write “An Idiot’s Guide to conducting Presbytery business” but he never made it clear which of us was the idiot! George had enormous pastoral skills, having that enviable ability to relate to people and put them at ease. He himself recognised that pastoral ministry was his strength, with preaching and administrative duties taking a secondary place. I worked with him for 15 years and I think we had a well-balanced team ministry. I can’t say we never fell out but we never had public disputes. We were more a partnership than a team and George always saw me as an equal partner. As years went by George became interested in politics and was “converted” to the Liberal Democrats by Paddy Ashdown. He stood for election as a Councillor and we were all amazed when he was elected. That included George! I was there when the result was declared. He didn’t reinvent himself when he became a Councillor but rather took to the role the same pastoral skills he used to such good effect in ministry. Many people have reason to be grateful to George for the care he took to address their concerns. In 2007 he was elected Lord Provost of the City of Edinburgh and served with distinction in that role. He found meeting people a joy but each month he approached the Council meeting with some trepidation. Family life was always central to George. He and Elizabeth had been married for nearly 58 years. Their son Rhoderick gave them two grandchildren and daughter Mhairi gave them four. Every family event was celebrated and my family were privileged to be part of many of them. There was always fun and laughter. All of us came in for our fair share of teasing by George – sometimes we thought it was less than fair! Ill-health began to dog him while he was still Lord Provost. He underwent surgery and got to the end of his term with a sense of relief as well as a sense of achievement. In his second retirement he enjoyed more time with family and friends, and he found time again to read. However, he became increasingly frail. We can thank God that he was not destined to suffer for an extended period and that he is at peace. He will be missed by so many people but we can give thanks for a life well lived in service and in love.